A 68-year-old woman was jailed but later released after she plowed an SUV through a house in Sammamish, Wash., on Friday evening. 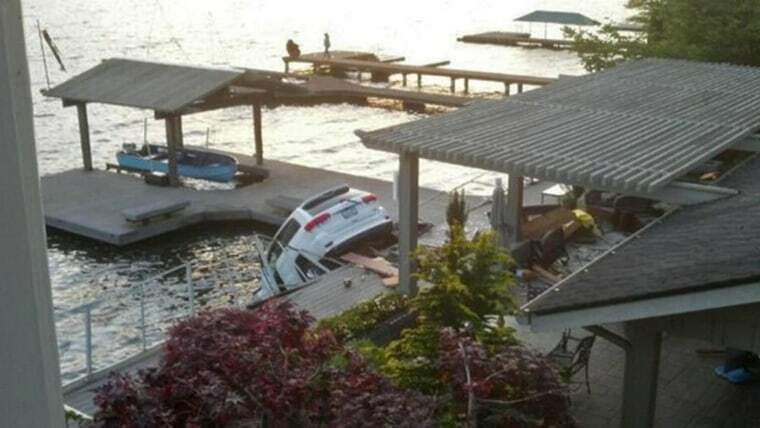 The 68-year-old woman driving an SUV that struck her Washington state home before crashing into Lake Sammamish on May 16 smelled of alcohol, first responding deputies said. Carol Sue Fedigan's 70-year-old partner, who was inside the home, died in the crash. Fedigan's daughter and son-in-law, who were also inside the waterfront house, were badly injured. The latter has since died, officials said. The couple's infant son, who was inside the vehicle, escaped unharmed, as did the woman behind the wheel of the Jeep SUV. The woman's breath smelled of alcohol, according to deputies responding to the crash scene. The woman also refused a sobriety test at the scene, a King County Sheriff spokeswoman said. A full toxicology report is pending, the spokeswoman said. It could take up to three weeks before it's finalized, she added. Fedigan was released pending a full investigation.